Umoja is a luxurious bush villa for 6 persons. 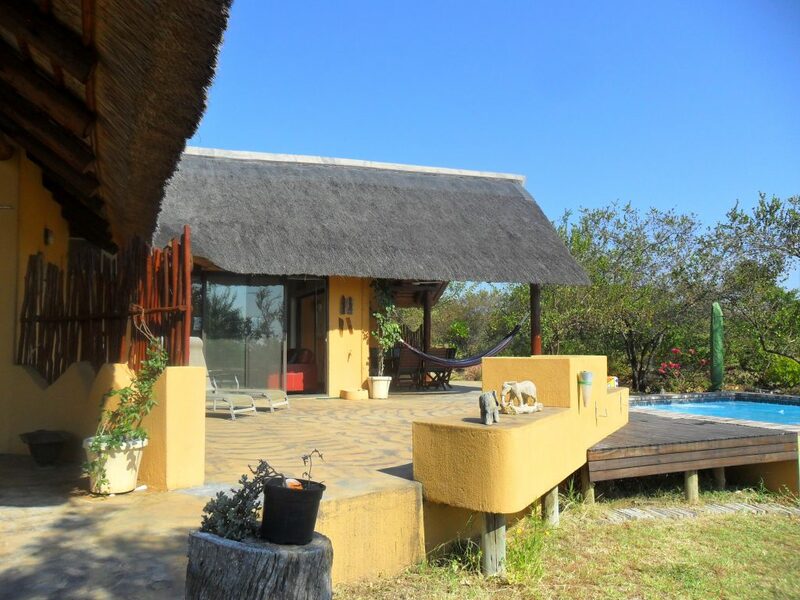 The house is built in authentic African style with thatched roofs to keep you cool in the hot summers. It is surrounded by a large terrace –stoep – with a private splash pool and a spacious garden that secures your privacy. 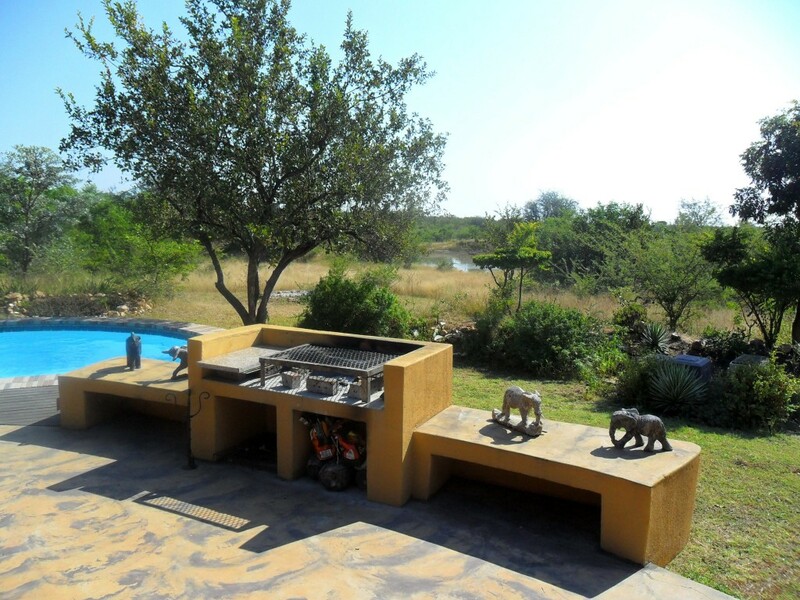 While preparing your BBQ (braai) you have a view over the waterhole where you can frequently spot the animals that roam freely in the estate. 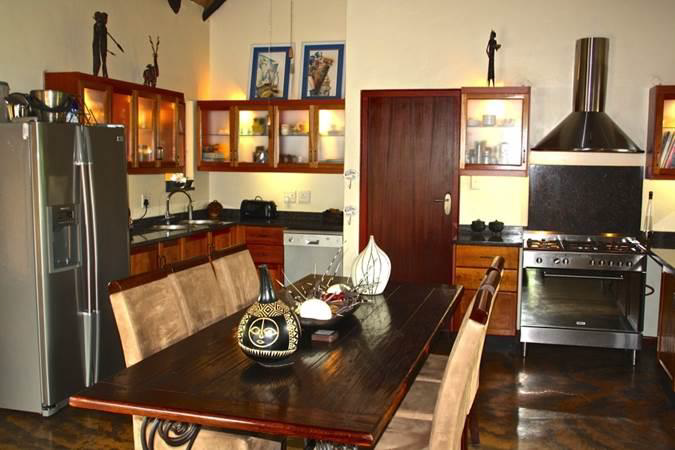 The modern and cosy livingroom with leather sofaset, LCD television with DSTV and free WIFI is there for your comfort. 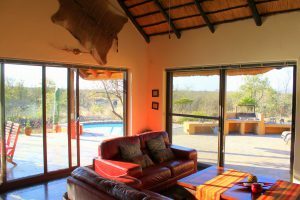 Large sliding glass doors offer great views of the bush and give access to the garden and the terrace which is furnished as an extension of the living room. Airconditioning keeps you cool in the warmest of summers. 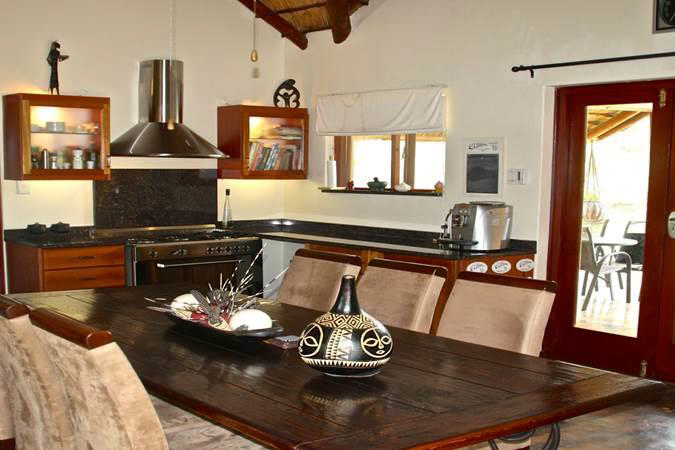 The fully equipped kitchen can satisfy the real Cooks amongst you. A large American fridge with ice maker, a 5-burner gas cooker with oven, microwave, coffee maker; it is all there for your comfort. The half open kitchen is part of the living room. 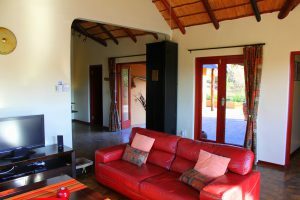 Large French doors open to the terrace where a dining table is set to have breakfast while enjoying the typical African bird sounds. 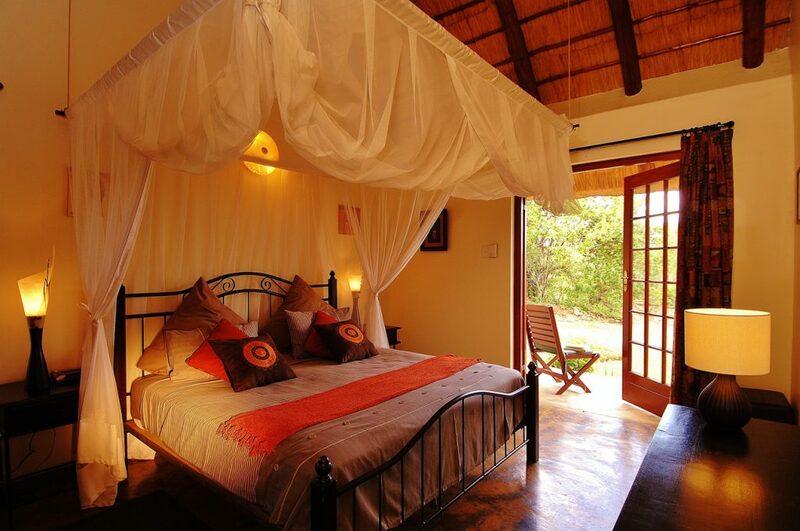 The villa has 3 spacious bedrooms, each with place for 2 persons. If necessary, a cot can be added upon request. 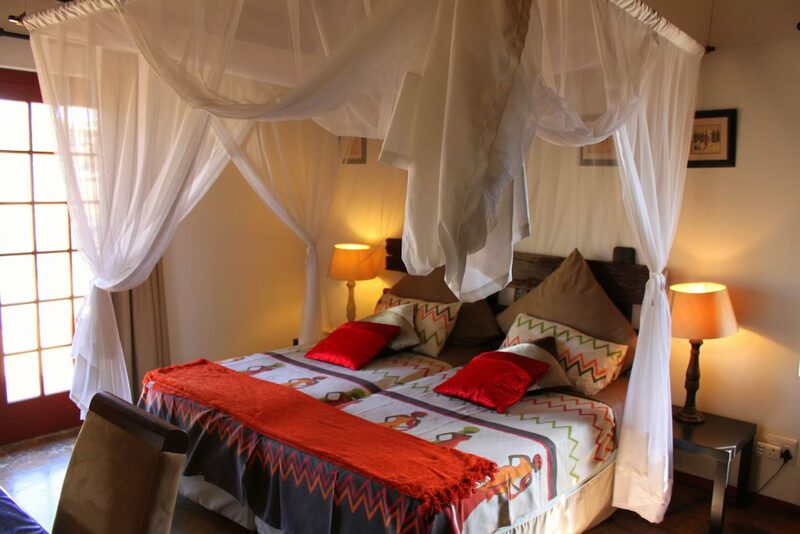 The master bedroom has a King size bed, an en-suite bathroom in typical African style with bath, shower, wc, hairdryer, and is equipped with towels and toiletries. The bedroom has French doors to the terrace, with an outdoor shower. A ceiling fan cools the room during the warm summers. This shaded bedroom has two single beds, that can be made as a double bed, also with an en-suite bathroom. 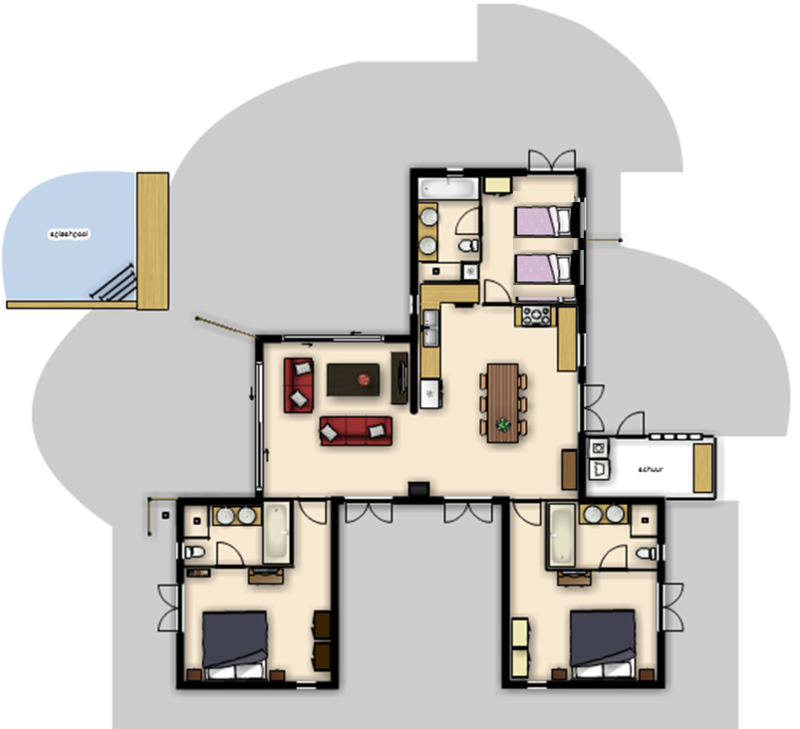 This bedroom is air conditioned and has double doors leading to a half shielded semi-private terrace. 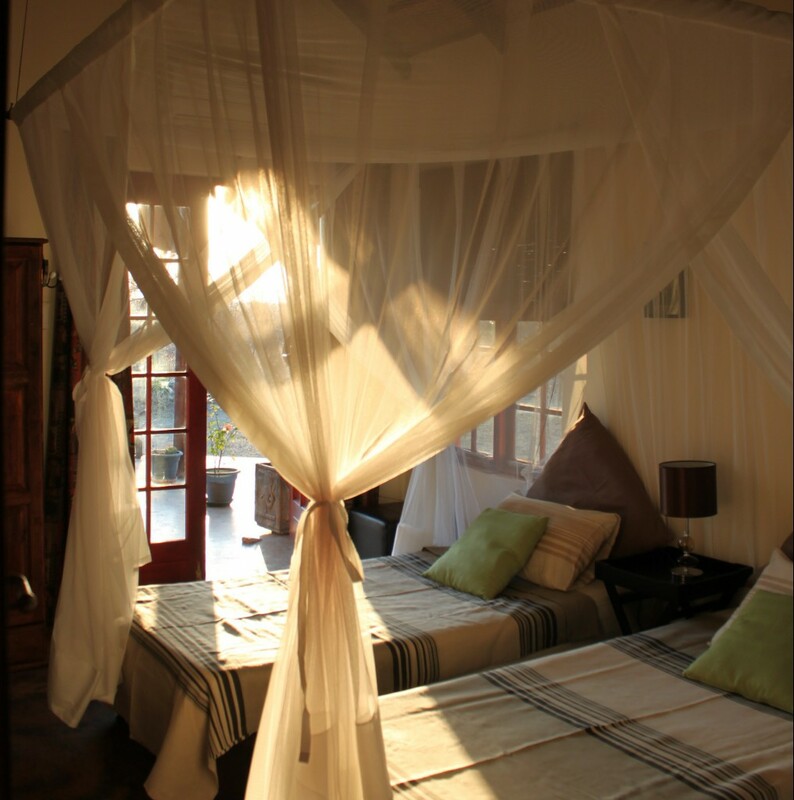 All bedrooms have luxurious mosquitonets. The sunny terrace of the third bedroom has a spectacular view on the bush and the early morning sunset. 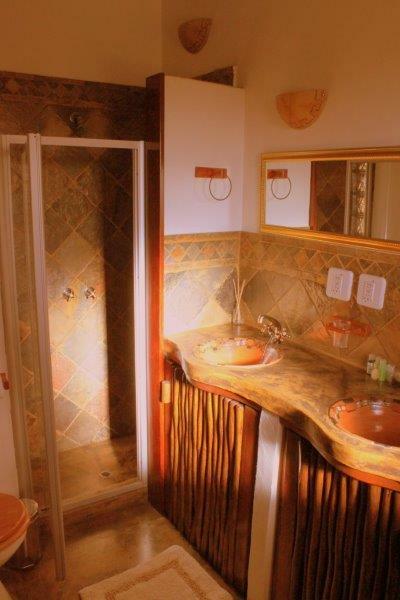 It is semi-shielded of the main terrace thus giving extra privacy when renting the house with several couples. 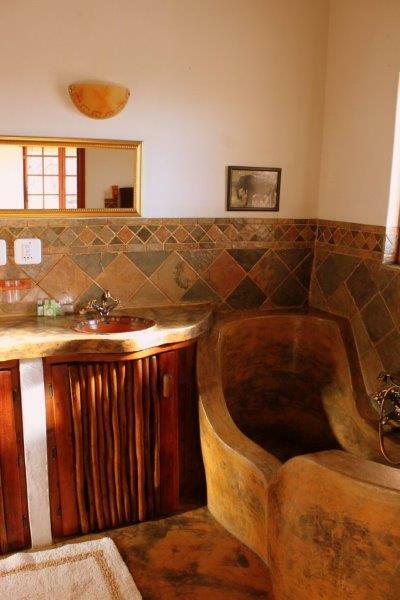 All bedrooms have en-suite bathrooms with double sink, bath and separate shower in typical African style. The terrace, which as a kind cloverleaf surrounds the house forms an integral part of the living room and kitchen and is partly covered by the thatched roof. You will find a large stone barbecue (braai) on the terrace to enhance your African feeling. 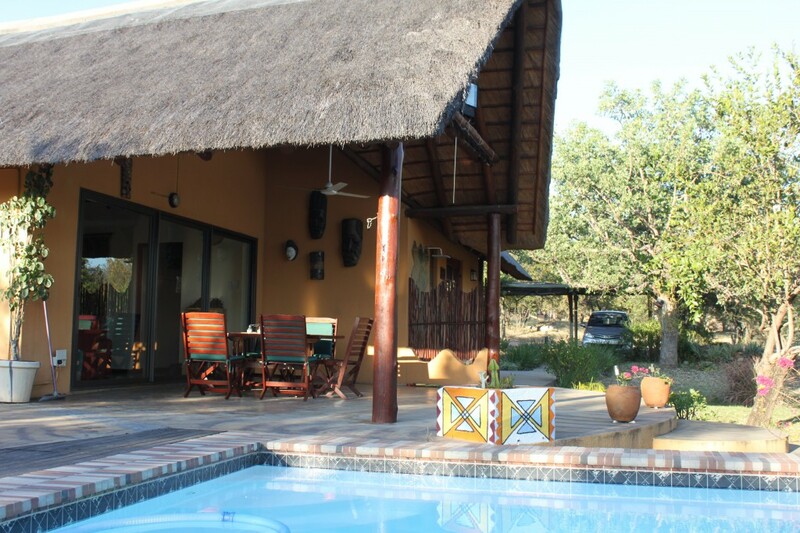 The heated swimming pool is next to the barbecue so you can enjoy it even on a cooler winter day. 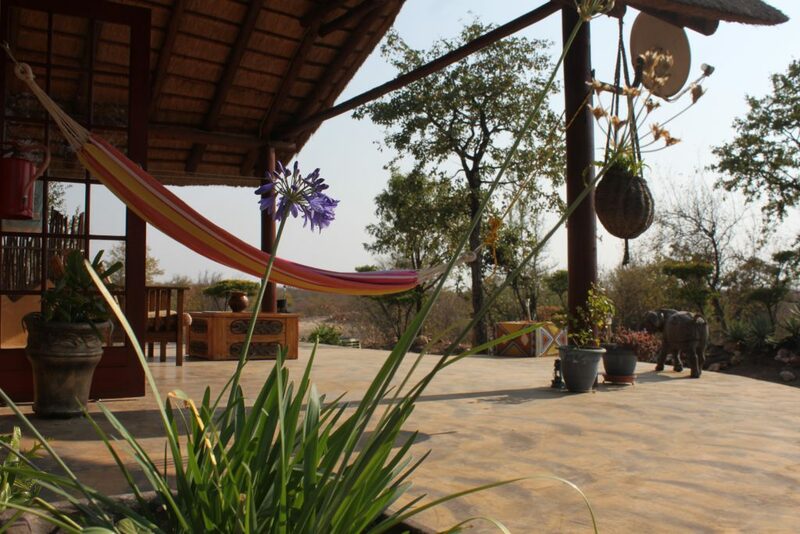 There are easy chairs to enjoy a good glass of African wine while listening at those typical bushsounds. There is a private carport for 2 cars.